In the 1990s, Croatia’s Homeland War left the city ravaged, but like a true phoenix, it still retains the enchantment and mystery of its past. It’s difficult to tear myself away from the image: a sepia photograph of a young man in his early twenties, with deep brown eyes, a thick mop of ebony hair, and a handsome, grave face. It’s his smile that engages me, drawing me to his visage out of the hundreds of similar portraits around him. I’m inside the Memorial Room of Dubrovnik Defenders at Sponza Palace, an elegant tribute to these promising young men, who had everything cut short by the Homeland War of 1991, which ravaged all of Croatia, including the medieval walled city of Dubrovnik. Located inside the 16th-century Sponza Palace, the Memorial Room is a quiet abode; a place to reflect on the futility of war through the richly illustrated portraits and profiles of its martyrs. Stepping outside brings a sense of reassurance: a father carries his toddler on his back; a couple pushes a stroller on the busy, cobbled pathway. 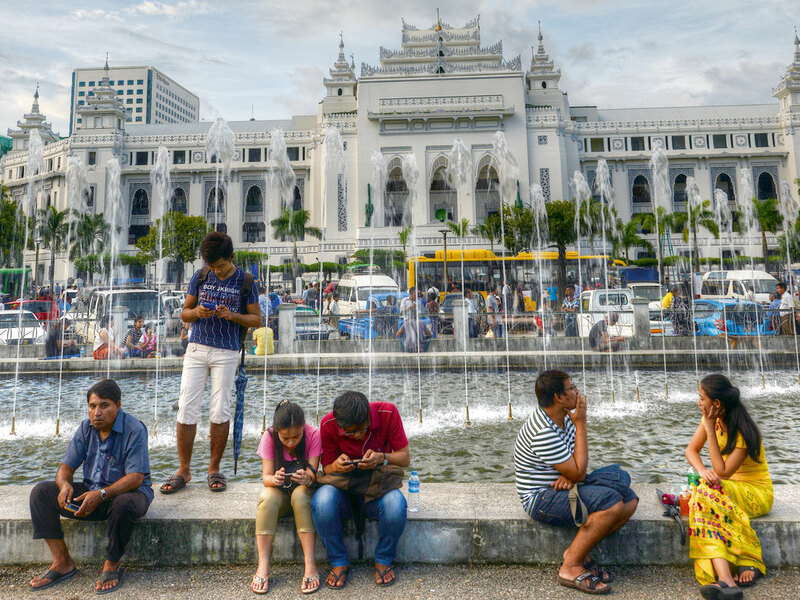 A group of youngsters pose in front of the Orlando Column, a stone monument from the early 1400s, dedicated to the city’s symbolic patron knight, and another family laps up ice cream. Forget warriors and battles, Croatia, with its fresh ice creams, could well be the dessert destination of the world. At the western end in Stradun, Dubrovnik’s main street, people are enjoying the Mediterranean sunshine on the steps of the Onofrio fountain, which is named after the 15th-century builder of the city’s water supply system. Folks listen to music on their headphones and eat sandwiches; my pick is Skola—a cosy sandwich shop run by the Popovic family since 1997—which serves freshly baked bread filled with local pršut (prosciutto) and sir (cheese). Observing the teeming numbers of tourists, many of whom are busy taking selfies, I recall photojournalist Jon Jones’s iconic image of the Homeland War, which shows the old town burning after a Serb artillery barrage. This photograph, along with others taken by photojournalists during the Balkan Wars of the 1990s, can be seen at the War Photo Ltd, a gallery housed in the old city. Under heavy shelling, an estimated 70 per cent of Dubrovnik’s buildings were damaged during the siege. The maximum destruction, however, was to the iconic red-tiled rooftops—recently made famous thanks to a major action sequence in the Shah Rukh Khan film, Fan. I learn that the authorities spend roughly $2 million annually to rebuild and preserve Dubrovnik. 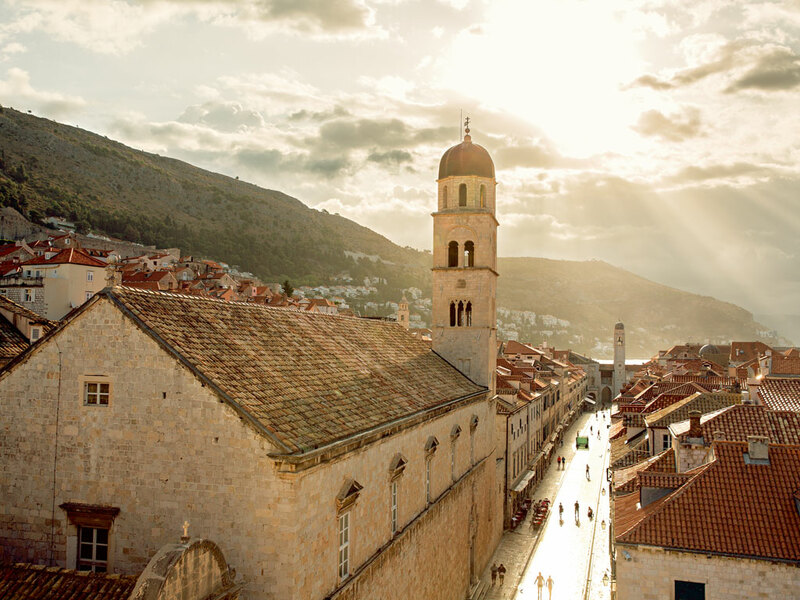 As evident in Fan, as well as the shots of Dubrovnik in Game of Thrones, the glory of the city’s red roofs is completely restored, even if some of the rooftops are still bare, and others fitted with brighter red tiles. A one-and-a-half-hour walk by the city walls is a magical experience. I admire the various shades of red terracotta rooftops, brought out by the afternoon sun; and on the other side, the glistening blue of the Adriatic, its waves crashing against the centuries-old medieval ramparts. This perfect vantage point allows me generous glimpses into the kitchens and outdoor areas of people’s homes. I smile at a little girl’s birthday celebration on her balcony, a dog playing with its toy, a young man washing utensils in his kitchen; a teenager drying garments on the clothesline. On the sea, I spot a distant kayaking group: tiny, colourful, Lego-like. Later that evening, I sit with my friends at Buza, a charming watering hole with incredible views of the setting sun. The sea is dotted with yachts, sailing boats, even a life-size replica of a 17th-century sailing ship or galleon that reminds me of a much smaller replica I had seen hours ago at the city’s Maritime Museum. After sunset, my friends and I find ourselves in a labyrinth of passageways, dotted with drinking joints and packed with youngsters, watching football matches outside Irish pubs or singing inside tiny but impressive bars. It’s hard to say how badly the scars of the war still affect Dubrovnik’s residents, but there’s certainly a general sense of joviality. Many residents, like Dukic, have bought properties to convert them into bed-and-breakfasts. Others are creating tourist rooms in their homes in the pedestrian-only old city. With more than half of the hotels destroyed in the war, these posh homes now listed online are bringing back the tourists. My friends and I go pub-hopping. We down cocktails such as the Hugo, a delightful mix of mint, prosecco and elderflower syrup, and one of the more popular aperitifs in Europe. We listen to jazz at the Troubadour Jazz Bar, a showcase for live music acts for several decades. We eat pizzas and fresh bread with olive oil, smoked ham and lots of delicious, full-bodied red wine. We laugh, act silly, enjoy conversations, and click tons of photos. Roaming the by-lanes of Dubrovnik’s old city at midnight, where the grenades rained down nearly three decades ago, we feel utterly safe and free of care. Listed as a UNESCO World Heritage Site in 1979, Dubrovnik is situated in the southernmost part of Croatia, on the steep rocks of the Adriatic coast. In 1991, the city and its surrounding areas were beseiged by Serbian forces. Dubrovnik, despite coming under heavy fire, was successfully defended by Croatian forces. Since then the city has regained its old brilliance. 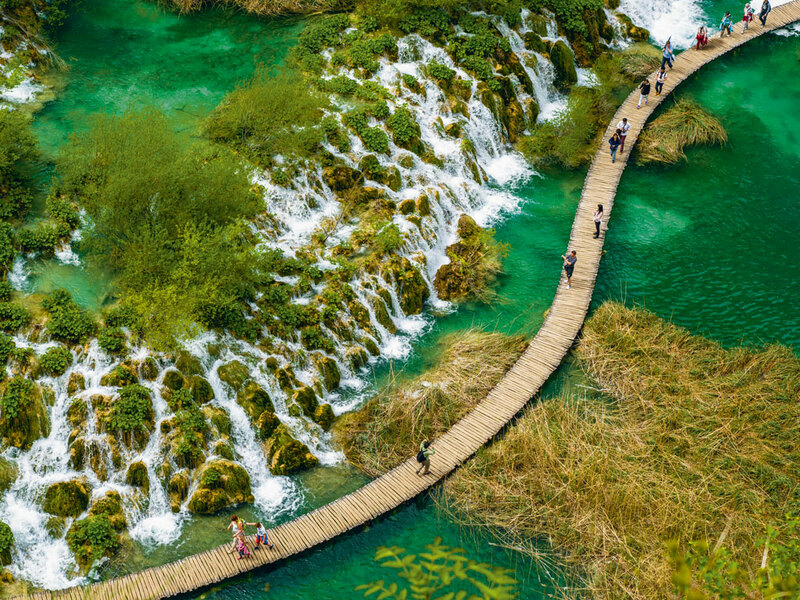 Indian travellers to Croatia need a tourist visa. Croatia is not a Schengen Member State, but a Schengen tourist visa issued by one of the member countries is also valid. An application with a completed form and travel documents including proof of funds and details of the itinerary can be submitted at the embassy in New Delhi or one of the VFS offices in Mumbai, New Delhi, Kolkata, Chennai, Hyderabad or Bengaluru. It takes between 15-30 days for the visa to process (www.vfsglobal.com/Croatia/India). Applicants must pay a service charge of Rs1,543. Travel insurance covering minimum €3,000/Rs2,25,500, and travel documents are essential. Visa costs €60/Rs4,500 and applications must be made three months in advance. The Dubrovnik tourist card gives up to 50 per cent discount on major attractions and public transport. Cards can be bought online and then collected from one of the Tourist Board Offices (www.dubrovnikcard.com; from HRK171/Rs1,735 for a 1-day pass). Abhilasha Ojha is a former journalist who has has worked with leading national dailies and magazines like Hindustan Times, Mint and Business Standard. She is currently production editor (consultant) with DAG Modern. Travelling, she strongly believes, is empowering in that it allows a person to dream.